In the competitive and commoditized world of legal services, we’re told we must have an effective marketing campaign to get new clients. When most of us think of marketing, we envision glossy brochures glorifying the firm’s pedigree, power lunches, or shaking hands at useless and annoying networking events, mixing sweaty palms with pigs-in-a-blanket in one massive business card swap. We often forget about the acres of diamonds already at our feet. What about you? Are you properly differentiating your practice in the marketplace? Are you tying in a targeted value proposition coupled with an irresistible offer? Are you leveraging all of your existing assets by maximizing the value of your networks, utilizing strategic partners and relationships? Most importantly, are you properly serving your existing clients? The costs of attracting a new client are 5 to 12 times greater than the cost of keeping an existing client. The return on investment is up to 10 times higher investments in client retention than in new client acquisition. Converting new clients takes more time, effort and expense than is required for current clients. Existing clients have greater usage levels and can be easily crossed sold. Existing clients are less price-sensitive. Existing clients exponentially increase profits. Existing clients are the best referral source for new clients. More than 80% of new business comes from existing clients. Having a single individual accountable for firm-wide client service boosts per-attorney profits by up to 41.2%! Equally as important, were you aware that dissatisfied clients tell an average of 1,020 people, and up to 93% of dissatisfied clients will not return to you and won’t tell you why? The statistics also indicate that many corporate clients are dissatisfied with their law firms; only 24% would recommend their primary law firms. This client dissatisfaction is not due to a lack of legal expertise; it’s primarily due to poor client service or perceived indifference. Failing to treat your existing clients like the treasure they are will not only prevent you from utilizing your best resource, but ignoring them will start a spiraling effect of lost revenues and severe damage to your reputation. By the time you figure out what happened, the damage may be irreversible. If you don’t take care of your client ... someone else will! With the number of lawyers exponentially increasing, and many clients making their selection of firms based on price, the only true differentiator is client service. Your experience, capabilities, and responsiveness are minimum requirements today and no longer make you stand out in the market. And just plain vanilla client satisfaction is not enough either. Today, you need to “engage” the client in a deeper and more personal way. You have to know their “needs and wants” and be able to address them in an individual and memorable manner. It’s only through this “total client experience” that you beat the competition and win their business before they look elsewhere. Clients desperately want to work with someone they know and trust, who knows their industry, their market, their company, their situation, their people, their concerns and their desires. They want you to listen to them, know more about them, understand them, and work with them as a trusted partner. By engaging the client through emotional differentiators like trust, confidence, commitment and likability, you’ll demonstrate that you truly care about them and that they are the most important client in the world. If you can discover and align to these issues, the client will view you as a trusted partner and not just another lawyer; never thinking of leaving you because deep down inside, they know they’re not going to get this “experience” anywhere else. So, how do you go about giving people what they want? You start out by listening, serving, educating and providing a memorable experience. Find their pain and what they truly desire by anticipating their needs and surpassing their expectations. The result is that when they need a lawyer, you’re at the top of their list because you were there for them. You solved their problems without making any demands. You cared and acted in a way that made them feel appreciated. They will then seek you out because people have an innate desire to reciprocate when they are given something or treated in a certain way. Your one-time client becomes a client for life, a constant source of referrals and new business opportunities. A client-centric organization is elusive because lawyers are extremely busy and are, for the most part, highly focused on the legal work. They inherently believe that if they win the case or close the transaction successfully, the client will stay with the firm. That is no longer the case. If you fail to continuously engage the client, you’re out of sight and out of mind, allowing your competitors an opening to beat you out for the client’s future business and referrals. The only way to consistently provide a high level of client experience, and drive it deep into the fabric of the firm is to have one person totally devoted to ensuring the client is heard and attended to in a memorable way. You should have a Client Ambassador: someone who understands the client, who is an empathic listener, and who comprehends the unique dynamics of the attorney/client relationship. Several firms like Reed Smith, Orrick Herrington and Stanislaw Ashbaugh have already jumped on this idea, knowing full well that marketing officers or managing partners cannot fill this role. And what would this Client Ambassador do? Ensure the client experience is memorable and exceeds their expectations. This includes everything from the office appearance, how calls are handled, billing issues, employee interaction, etc. Meet or speak with clients for regular feedback. Train employees on how to deal with difficult client situations and ensure that everyone in the firm is on the same page. Work with the marketing department and firm leaders to increase cross-selling, referrals, and new business opportunities. Help prioritize marketing initiatives by soliciting client reaction and opinions. Meet with firm leaders providing ideas to drive practice group and firm profitability. Ensure attorneys and clients “matchup” advancing attorney/client chemistry. Stimulate change and improvements before the client leaves the firm. Benchmark competitors regarding service delivery improvements. Ensure proper follow-up on client concerns. Help clients succeed in non-legal areas through education and referrals. Champion firm successes and its value proposition to clients and the marketplace. Provide metrics to ensure increased profits, usage and realization rates. Help market the firm with client seminars and promotions. Transaction or litigation analysis and commentary. Help implement an employee reward system for outstanding client service. Track and monitor client satisfaction and service. Research conducted by world-renowned BTI Consulting Group revealed that having a single individual accountable for firm-wide client service boosts per-attorney profits by up to 41.2%. BTI performed a comprehensive analysis of how over 160 distinct but interrelated marketing activities impact firm revenue, profitability and growth. This research, based on more than 140 interviews with Chief Marketing Officers, Managing Partners, Directors of Business Development and other marketing executives, definitively identified the marketing practices that deliver the best returns. The practice of having one individual accountable for firm-wide client service stands out as the single most powerful driver behind higher profits per attorney. If you want to discover new business opportunities, uncover problems and concerns before clients leave or damage your reputation, convey that your firm truly values the client relationship, discover client reactions to new marketing and business ideas, discover why clients choose your firm in the first place, increase service and usage levels, reduce your marketing costs, and increase per attorney profits over 40%, then you absolutely must appoint your own Client Ambassador. Are you convinced yet about where you should spend most of your time and marketing dollars and why a Client Ambassador will pay off handsomely for your firm? Maintaining loyal clients will do more to increase your bottom line than any marketing, PR or advertising campaign. Client-focused retention and loyalty strategies should be the overriding goal and objective of all your business development efforts because it’s a lot less costly than traditional marketing tactics, is ethical, simple, and represents a highly effective economical and leverage strategy. The “client-only marketing strategy” is a powerful one and represents the lynchpin of most successful law firms. Having a dedicated Client Ambassador is an easy way to implement this dynamic strategy. Cole Silver is a lawyer and certified career and marketing consultant. 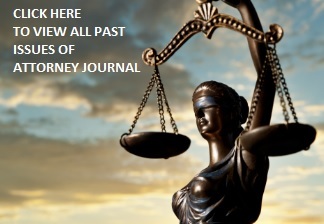 His Expert Audio Series and book, "How to Create Wealth and Freedom in your Law Practice", 101 Powerful Client Development & Retention Strategies for Attorneys can be ordered by going to http://www.findcareersuccess.com. Cole is available for speaking engagements and consulting and can be reached by calling 609-306-8098 or by e-mail at cbsilver@yahoo.com. About the Author: Cole Silver is a lawyer and certified career and marketing consultant. His Expert Audio Series and book, "How to Create Wealth and Freedom in your Law Practice", 101 Powerful Client Development & Retention Strategies for Attorneys can be ordered by going to http://www.findcareersuccess.com. Cole is available for speaking engagements and consulting and can be reached by calling 609-306-8098 or by e-mail at cbsilver@yahoo.com.